Marijuana for sale at a bar in Olympia, Wash., in December, a month after voters approved legal possession of up to an ounce. If you're looking for a new line of work, consider a rewarding career in pot in Washington state, where regulators officially opened the door Wednesday to selling marijuana legally. 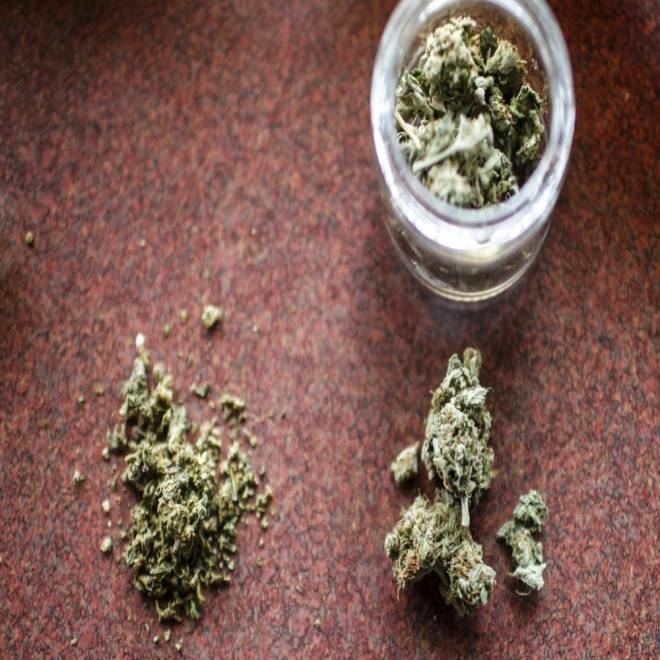 The state Liquor Control Board adopted rules that will let 334 retail marijuana stores open across the state after almost 11 months of research and discussion since voters approved the legalization of possession of up to an ounce of pot for recreational use. Applications to run the stores will be accepted starting Nov. 18. The months of negotiation were needed to figure out how to balance creating a "tightly regulated and controlled" recreational marijuana market while at the same time protecting it from out-of-state imports and illegal trafficking on the so-called gray market, the board said in a statement. Washington is the second state to issue rules for legal marijuana markets. Colorado approved similar rules last month. Left undetailed is just how the legal market will work. The ballot initiative that Washington voters passed in November legalized private possession — but it didn't legalize public display or use. And while the U.S. Justice Department has said it won't sue either state, it has made its opposition to legal sales abundantly clear. As with medical marijuana dispensaries, federal policy is to look the other way. That has raised doubts — still open — that the federal government won't change banking regulations that ban banks from handling proceeds from marijuana sales. "Cash-only businesses are very difficult to audit, leading to possible tax evasion, wage theft and the diversion of resources we need to protect public safety," King County Sheriff John Urquhart testified at a Senate Judiciary Committee hearing last month. Deputy Attorney General James Cole told the committee that the Justice Department is reviewing the issue with the Treasury Department's Financial Crimes Enforcement Network. So where will all that 'legal' pot come from?